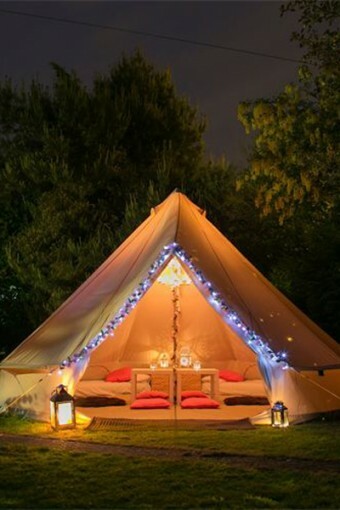 As a little girl I used to love camping out in my back garden with my friends. 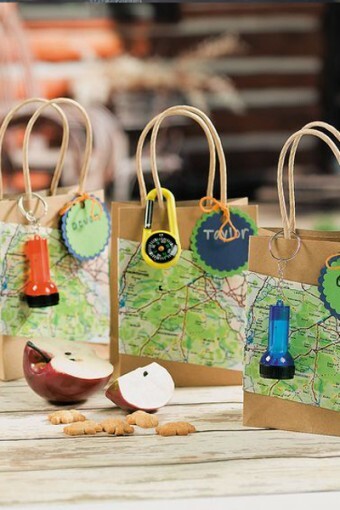 We’d set up our tent, bring stores of snacks, all of our Barbies, and inevitably end up back inside at about midnight when we got scared of the dark. 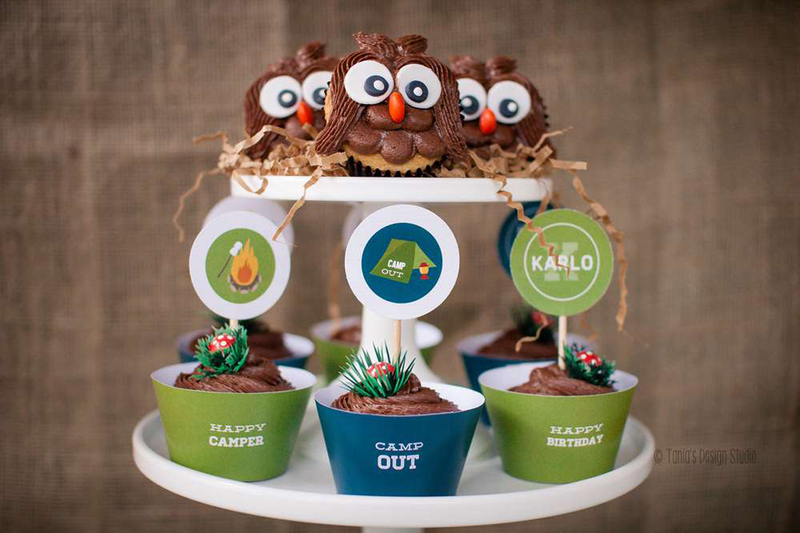 So it’s no surprise I love the idea of a themes kids’ camping party for a birthday or special occasion. 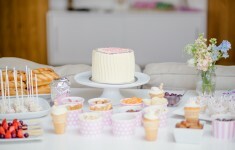 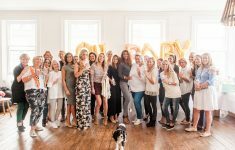 There are plenty of ideas here that you could do both indoors and out – because let’s face it, even in the middle of July you can’t truly rely on a nice sunny day in the UK! 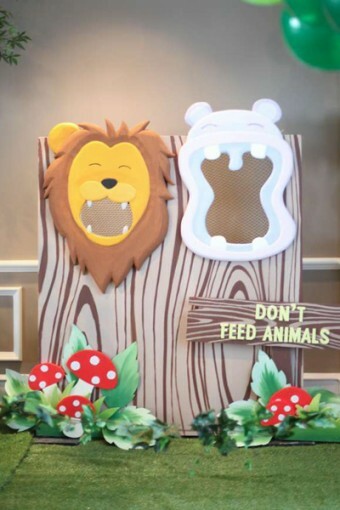 First off, the decorations. 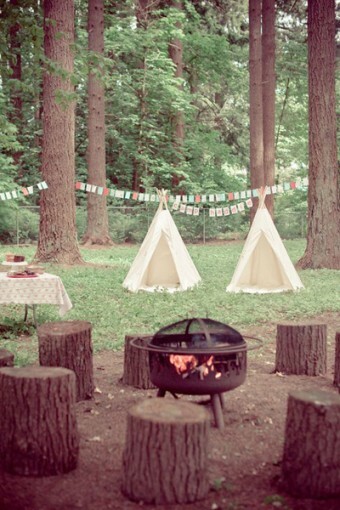 You can’t go wrong with a teepee. 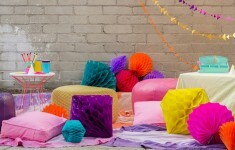 These are fairly easy to make (3-4 poles tied together with a piece of cloth, sheet or tablecloth). 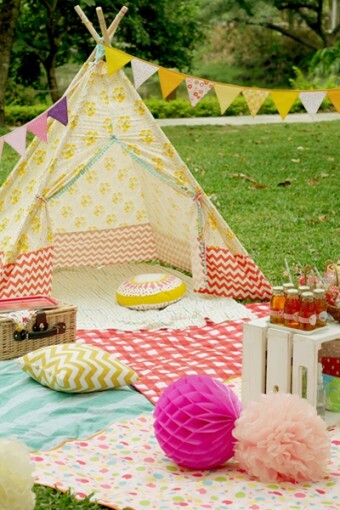 There are some super fancy ones out there, but if you haven’t got the budget don’t worry – kids have such wonderful imaginations they will love hiding out in a teepee whatever it looks like! 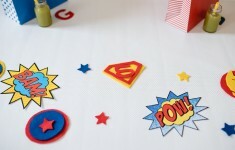 These are super simple, but with several together the kids would have hours of fun. 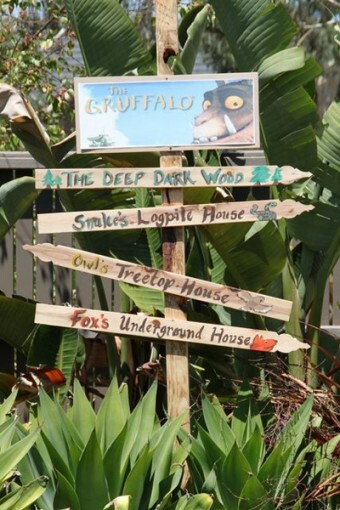 Channel the Gruffalo with these fun signs! 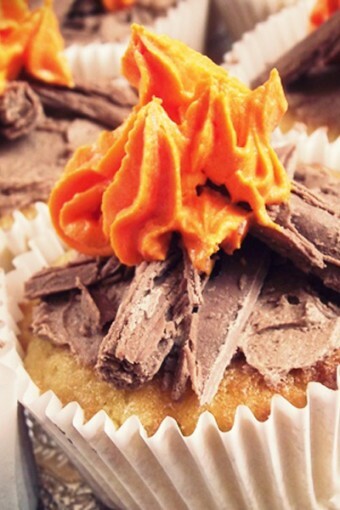 These campfire cupcakes are amazing, and fairly easy to do with some Chocolate Flakes and orange icing. 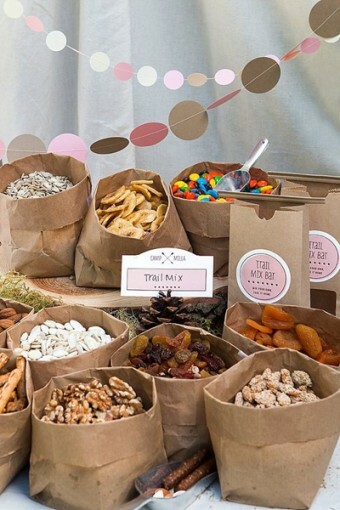 A trailmix bar is an awesome option to both catch the camping spirit and encourage the kids to eat something other than just cake and sugar! 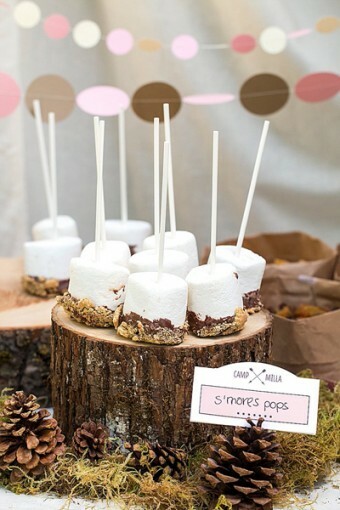 And these S’mores Pops also on Evermine, are incredibly fun! 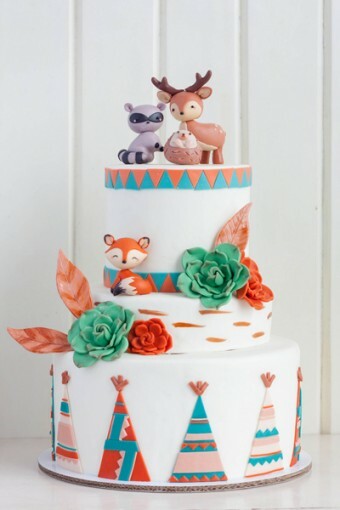 I’m a little obsessed with this camping themed cake from Cotton Tail Cake Studio – the fondant animals are just incredible. 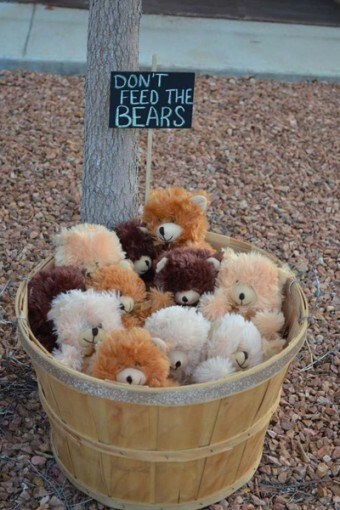 Set up a large tub of teddy bears for the kids to take home, with a super cute “don’t feed the bears” sign. 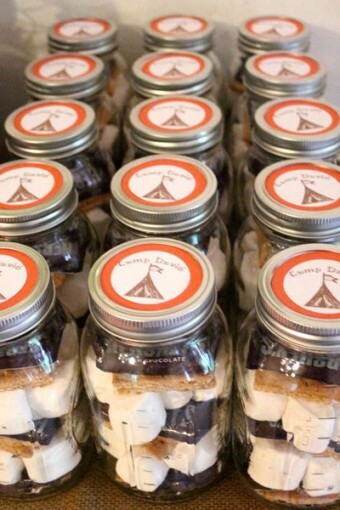 S’mores jars would also make wonderful favours for older children to take home and recreate the camping atmosphere at home.